Some nights I come home and all I want to do is bake. This usually follows a particularly slow day at work, when I need to get the creative juices unstoppered and just get it out there. Last night was just such a night, and despite the fact that my parents are hosting some fancy dinner party today (and I got volunteered into preparing the pudding), what I really wanted to bake was brownies. 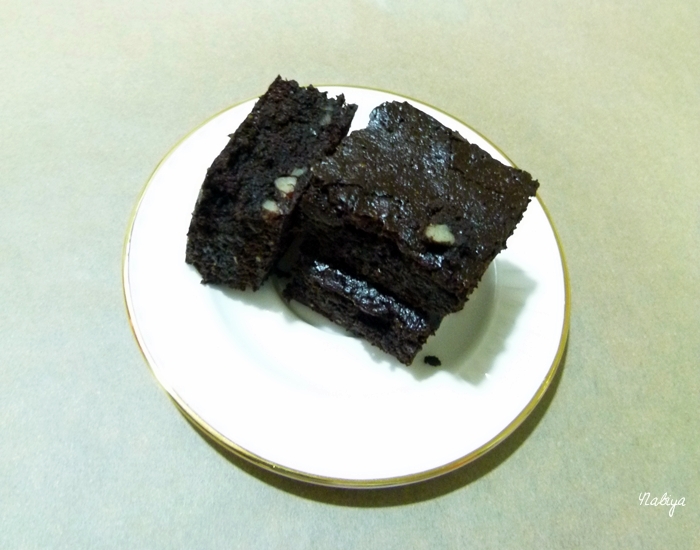 Simple, comforting, delicious brownies. A colleague of mine referred me to Jamie Oliver’s brownies recipe when she brought a batch in recently. 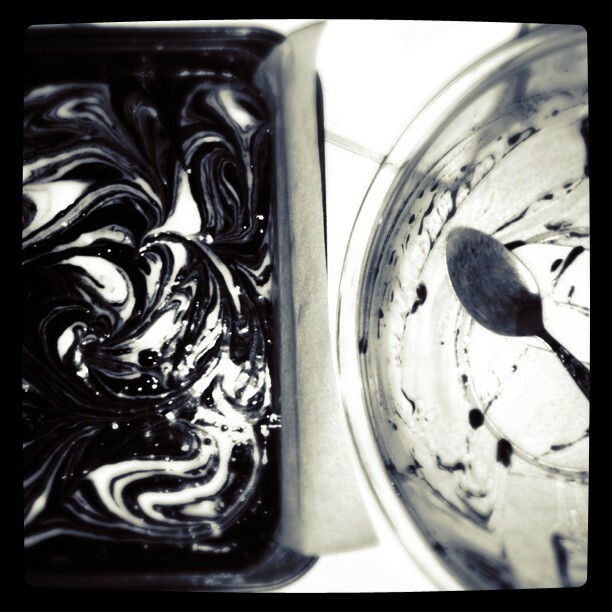 They were the most luscious brownies I have EVER had, and I think I scarfed down 4 squares that day. Not my highest point, I assure you… but I’ve been practicing more restraint since then. I made some accidental tweaks to the recipe as I read it wrong last night, but they turned out well regardless, so I’m going to keep making them that way, and I’ll share the recipe with you as I made it. 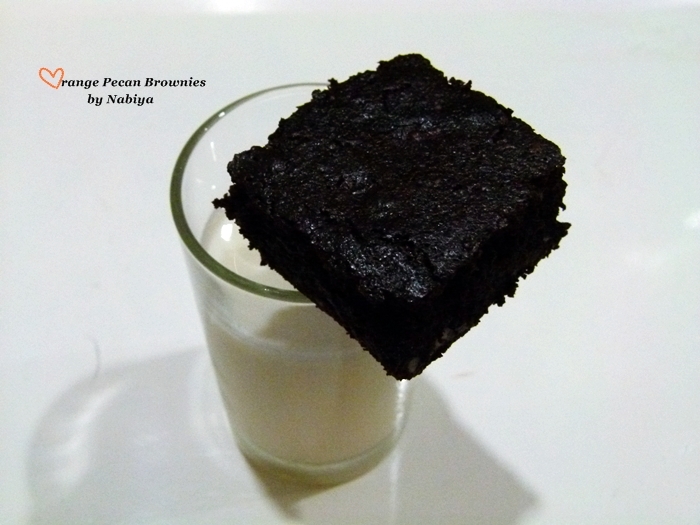 Here is the link to the original recipe, in case you want to do a comparison. If you’re familiar with this blog, you would know that I adore the chocolate and orange combo. Throw in pecans, and coffee and you have a good handful of my favourite things. I dropped these off at the office today, and handed another batch out to my clients, literally sweetening everyone up for the rest of the week. But now I want to bake another batch for home! Do you think brownies are an acceptable dessert for what is apparently a gourmet dinner party? I love pecans. Cool combination.